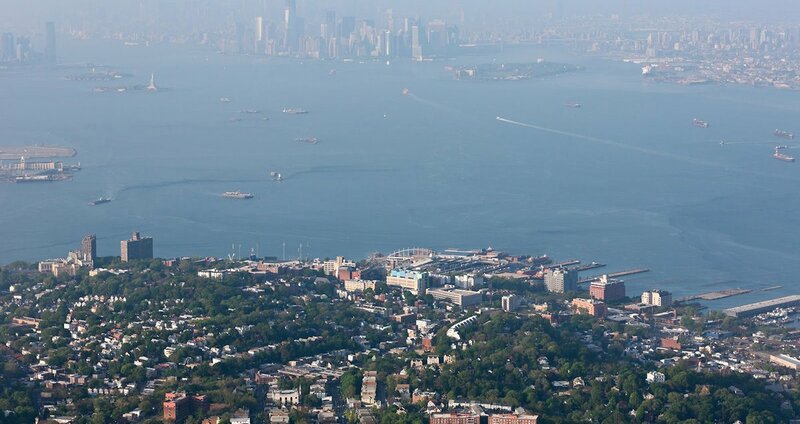 This month, the Design Trust for Public Space and Staten Island Arts launching a new series of public arts projects, Future Culture, with the broader mission of connecting people to Staten Island’s North Shore and heightening its role in greater New York as a cultural destination. Six finalist proposals for site-specific installations or programs will be surveyed in the exhibition, which opens on September 14. Two of those six proposals will be piloted. The first, a concert series called Court Yard Fridays, will include regular public concerts in the garden adjacent to the Richmond County Supreme Court building, bringing together musicians and listeners of diverse backgrounds. The second, Sonic Gates, will be a sequence of sound sculptures linking the St. George Ferry Terminal and the Clifton SIRR station—the installations will function as both wayfinders between the two points and pitstops encouraging exploration into the surrounding urban terrain from St. George to Stapletown. Other finalist ideas included sculptures highlighting the parallel between urban bird corridors and human arterials, bus stop installations celebrating Staten Island’s biodiversity, and youth engagement workshops helping local schools rethink their connection to larger community developments. For updates on more specific Future Culture programming running from late September through the end of November, check the Design Trust’s website, linked here.